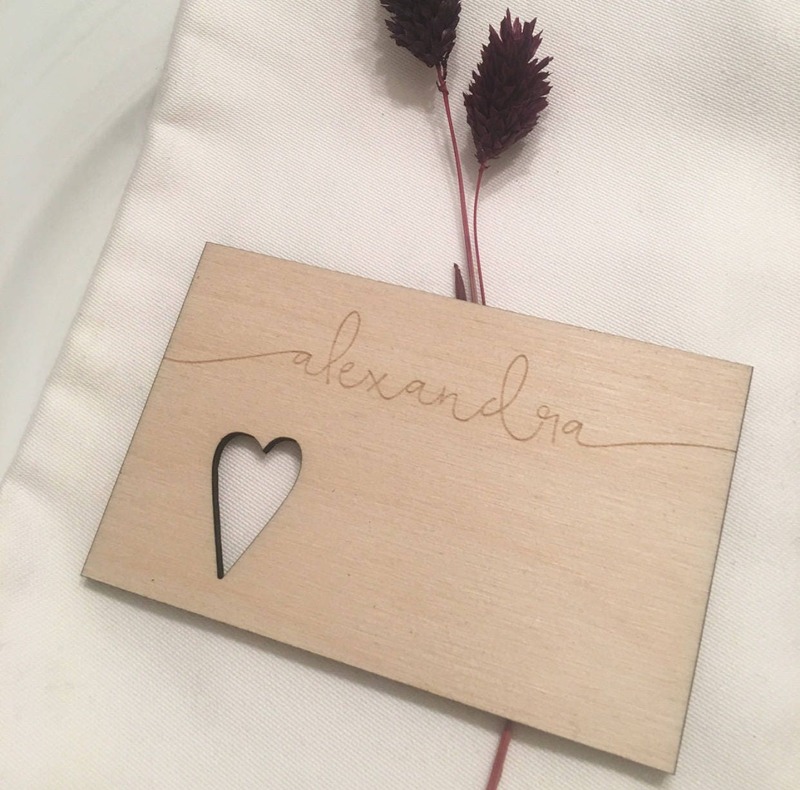 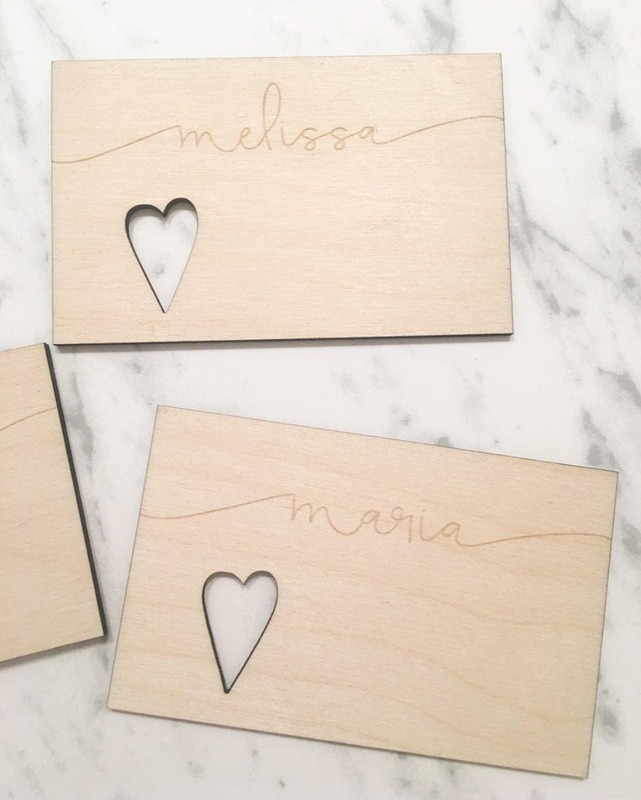 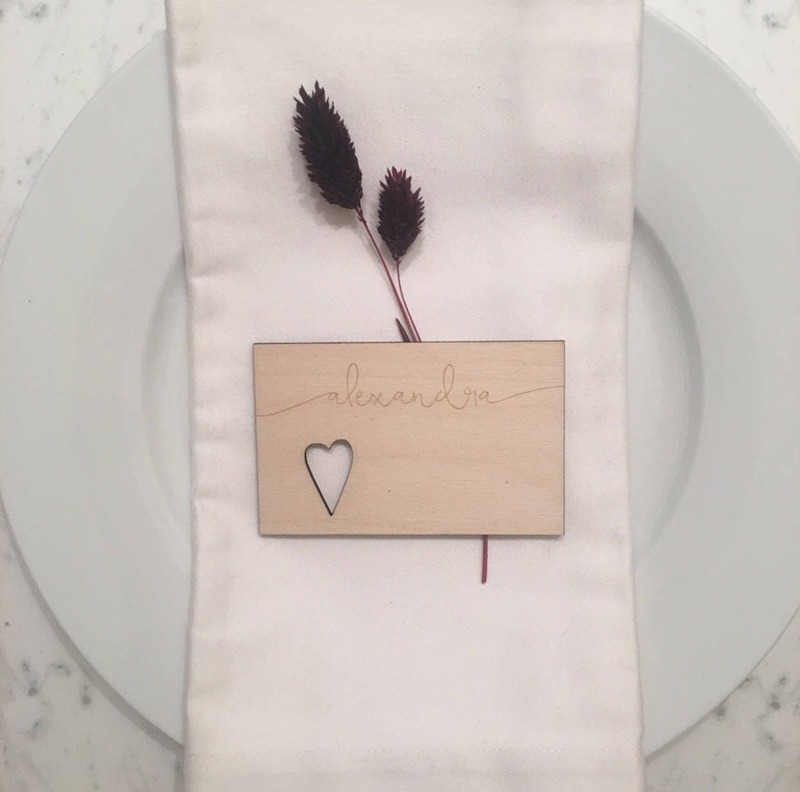 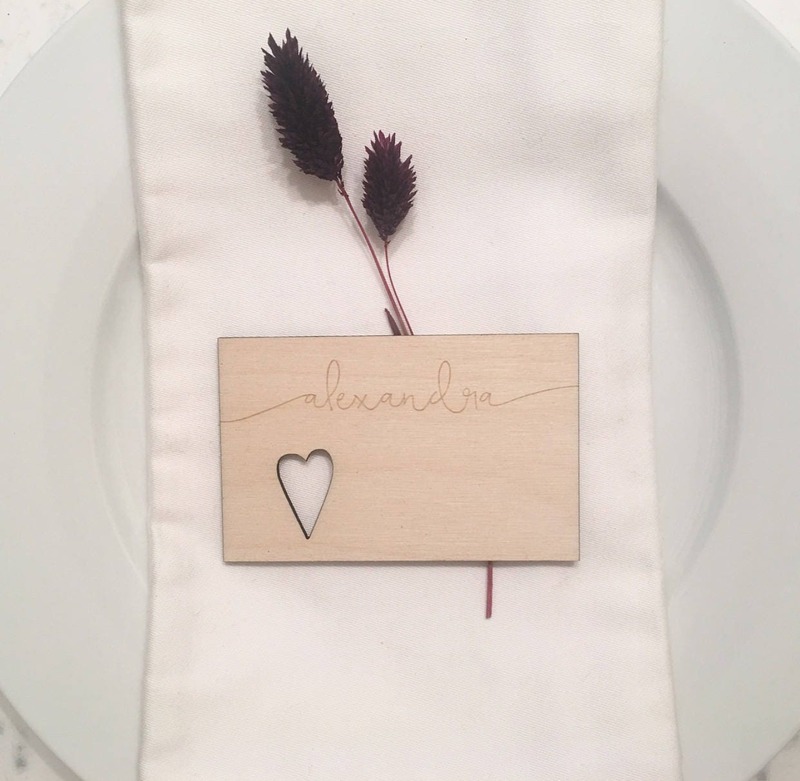 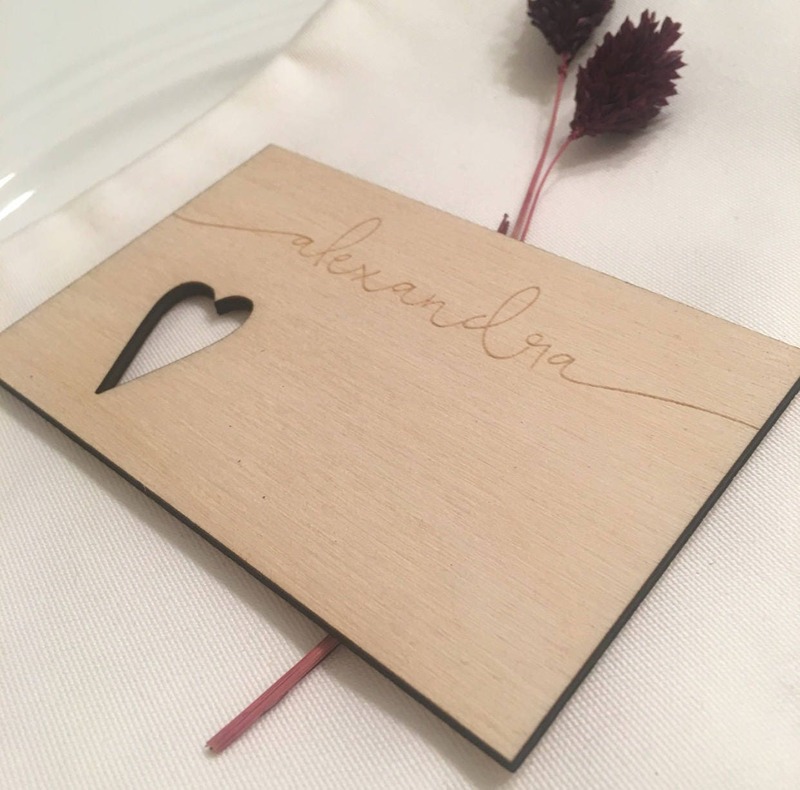 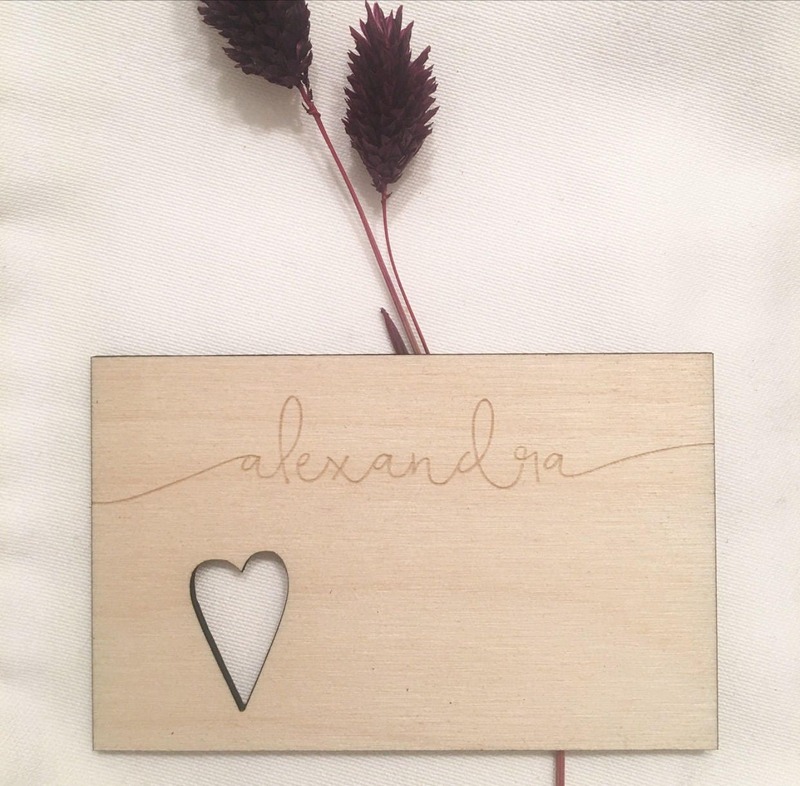 These custom laser engraved and cut birch wood, square place cards make the prettiest place cards for dinner parties and events. 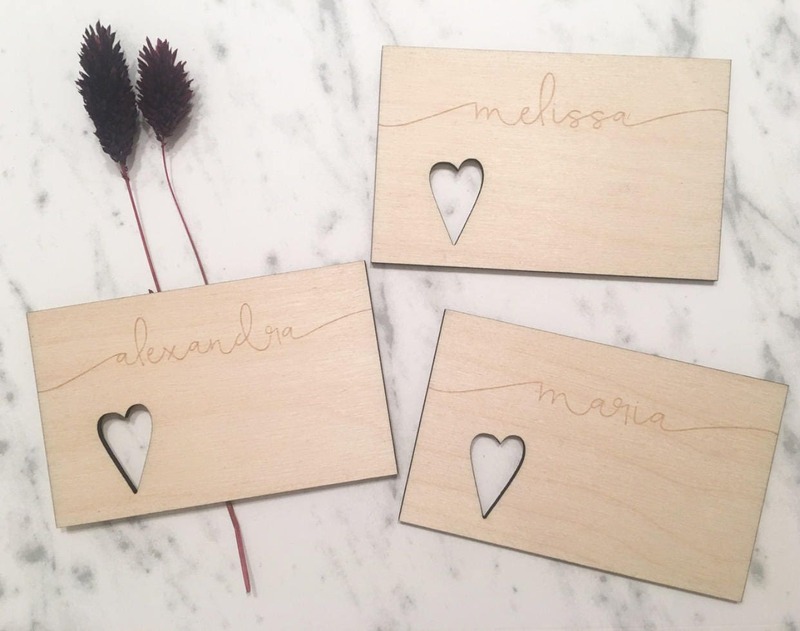 Each one comes engraved in a beautiful script with your guests name and a cut out heart. 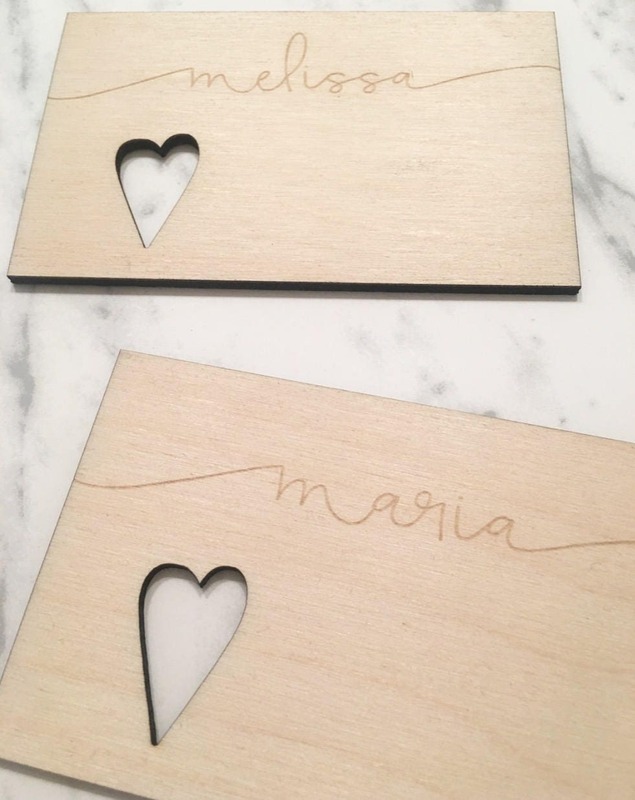 The best part, you get to keep each heart cut out to use as additional decor and confetti. 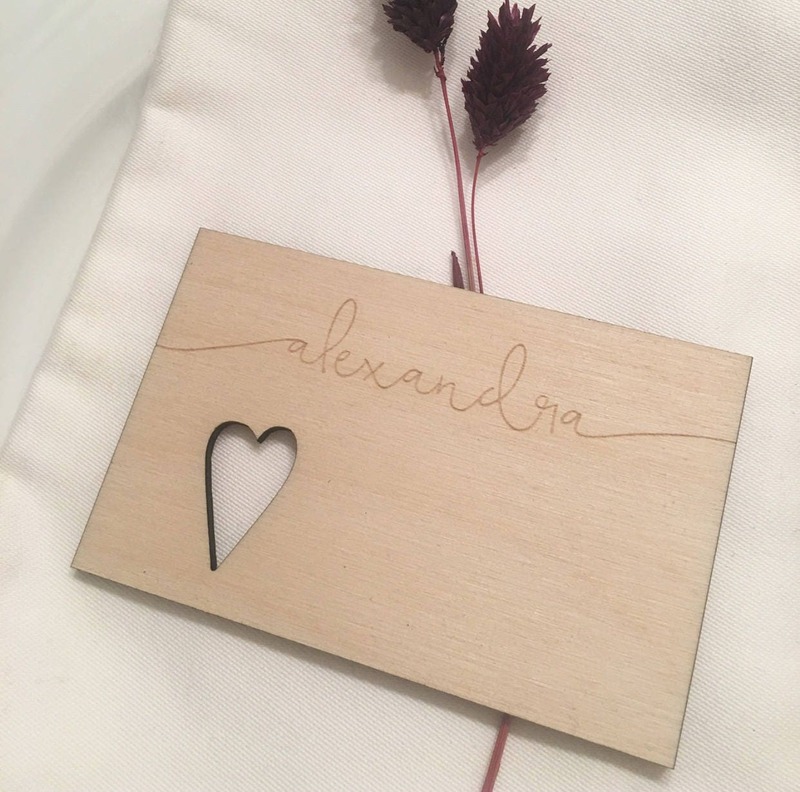 2) In notes at checkout indicate the names for each place card and they will be laser engraved exactly as pictured.